VGD takes a gamble on Obsidian’s Fallout follow-up. 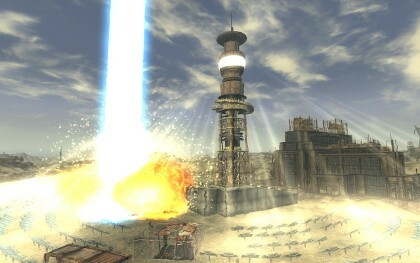 Is New Vegas all it’s cracked up to be? Fallout: New Vegas is something of an anomaly. Typically, when a cult IP lands back in the lap of its creators following an experimental interval, it is a cause for celebration. When that experiment saw your niche little project mutate into a mass-market, multi-format megaton that barely found space on the box for the countless “Game of the Year” awards… well, let’s just say that it can’t have been easy for the folks at Obsidian (formerly Black Isle Studios) to reclaim the Pip-Boy 3000 from Bethesda’s flawlessly ripped muscular forearm. The new locales seem to lack some of the scale of the likes of Rivet City, but all have an interesting tale to tell. As the criminally underused Ron Pearlman narrates at the game’s outset: “War never changes”, and apparently, neither does Fallout. 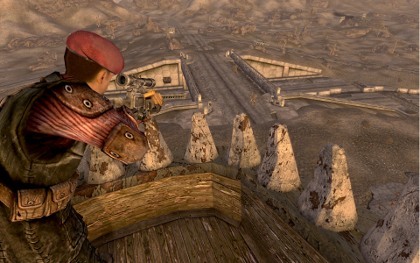 New Vegas is not a sequel in the way that many will expect. It doesn’t introduce a wealth of new gameplay possibilities to differentiate it from its predecessor. It doesn’t continue the narrative you may have sunken hundreds of hours into in Fallout 3. It doesn’t wow you with jaw-dropping upgrades to the aging Gamebryo Engine. Like the Majora’s Mask to Fallout 3’s Ocarina of Time, New Vegas is a feature-length expansion, that’s less “bigger, better, more badass”, and more of a comfortably familiar west coast account of the apocalypse, where prospectors eke a high rolling existence in a dire situation. Possibly the most useless tool in your inventory, they needn't have paid a designer to realise it. 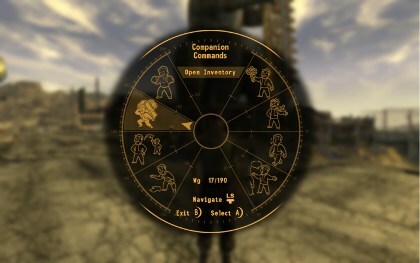 This is the companion wheel. The “westward journey” video game bandwagon (or should that be stage coach) has gathered plenty of speed recently with everything from Enslaved to Dead Rising 2 trying to convince us that West is best, but the huge natural expanse that makes up the Mojave wasteland does wonders for Fallout 3’s brutally depressing concrete aesthetic. In the series’ Great War, Las Vegas narrowly avoided direct atomic strikes, leaving the Mojave home to a far wider-ranging series of flora and fauna than DC. Plant life and generous sprinklings of foliage decorate the harsh desert, and when your first surprisingly well-animated mutant Gecko comes bounding across the horizon in all his Technicolor glory, you can’t fail to appreciate the newfound vibrancy of New Vegas’ world. 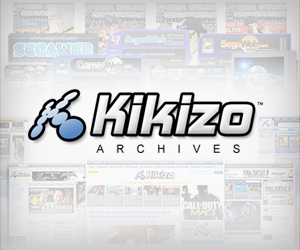 Texture detail, animation routines and enemy numbers have all been improved to a noticeable degree, even if they do come at the expense of subtle screen pop-up and the regrettably commonplace glitches and crashes that plague games of such scale. Decked out in the garb of certain factions will allow you to pass among their ranks unchecked, but don't be surprised if other factions take exception to you based on your dress code. While the team at Obsidian have inherited the technical triumphs and tribulations of Fallout 3, they have delved back to 1998’s Fallout 2 to restructure New Vegas’ karma system. Spread across the Mojave wasteland are at least fifteen different factions, each keeping a karmic tally of your behaviour towards them, meaning you can mercilessly chainsaw the head clean off of a defenceless grandmother in one town, yet still be revered as a Nobel Prize-winner in another. This takes on greater significance when you realise that each faction has its own political motivations, allegiances and grievances. Cosying up to the ruthless slave-powered Legion for example will make you a villainous traitor in the eyes of the New California Republic, giving every quest an element of risk and reward dependant on your actions. 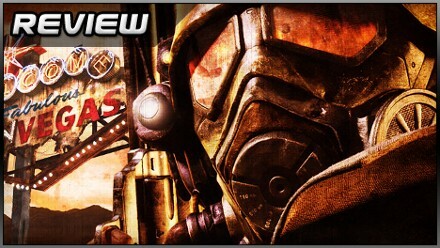 Posted in Reviews, Top 5, and tagged with Bethesda So, Bethesda Softworks, Fallout New Vegas, Obsidian, PC, PlayStation 3, Xbox 360. So in other words, developers don’t have to care that much anymore these days to make games without bugs?